Partnerships empowers security and operations teams with audible alert automation and crisis communications. — Pete O’Dell, CEO of Swan Island Networks. WALTHAM, MA, UNITED STATES, August 1, 2018 /EINPresswire.com/ -- OnPage3, the leader in Incident Alert Management1 and critical communications, announces its partnership with Swan Island Networks, provider of premier threat monitoring and situational awareness services. 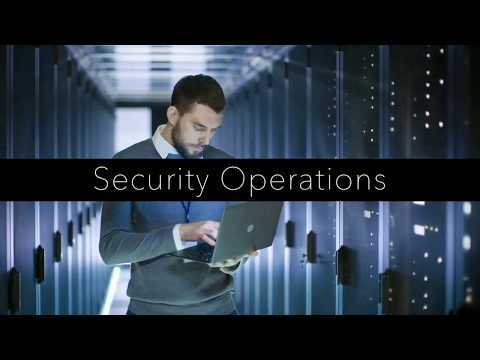 The collaboration provides security firms, risk management teams and security professionals with a way to automate audible alerts from intelligent channels and dashboards so that immediate action can be taken on critical real time threats. This partnership enables the protection of enterprises, assets, and people with real time alerting. 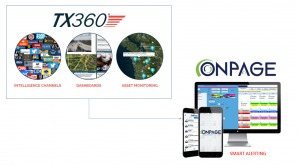 The TX360 platform2, developed by Portland, Oregon based Swan Island Networks enables users to monitor information channels and data feeds for critical information. Their unique dashboards monitor threats and disasters in real time and can factor in location-based monitoring to cover assets in multiple locations. TX360 helps security and operations teams identify and prioritize the most critical emerging risks and threats with a full suite of cloud-based situational intelligence management tools. With the addition of OnPage’s Alert Automation and Alert-Until-Read technology users of TX360 have access to pre-set scheduling that route alerts to the right responder/recipient instantly and enable reports and audit-trail to verify acknowledgement. “Real time awareness and monitoring of threats, coupled with the ability to rapidly communicate and respond across the enterprise can save lives, property, reputation and continuity” said Pete O’Dell, CEO of Swan Island Networks. “With the right technologies, organizations can harness internal resources and surge partners for a global response." OnPage believes that crisis communications needs to be instantaneous, reliable and contextual, hence providing TX360 users with an elevated communication channel that prioritizes the need for speedy, user-friendly communication in times of stress, disaster and threats. OnPage was built on the premise that traditional text, voice calls and emails are insufficient when sending out critical, time sensitive, notifications. OnPage Incident Alert Management system elevates critical notifications with Alert-Until-Read for up to 8 hours so it rise above the clutter to ensure the right people receive contextual potentially-life-saving notifications via an audible alert to act when required. OnPage provides organizations with an effective SaaS based solution for secure incident alert management & crisis communications that reduces costs, increases productivity and mitigates human error. With over 15 million messages processed daily and a record 99.99% uptime, OnPage continues to deliver the latest in effective Incident Alert Management that seamlessly integrates with customers’ existing systems.